Allcontractors NYC specializes in the design, installation, and maintenance of frameless glass fencing and railings. We have developed an innovative and stylish product range that provide an uninterrupted view of your pool and surrounding area. Our proprietary tools and installation techniques ensure a perfect installation every time. In addition to installing glass fences and railings, Our team provides training and support to a network of authorized installers across the USA. Our products are elegant, sophisticated, understated, and practical. Frameless glass fences and railings are versatile and almost invisible, making them an ideal means of enclosing any area without spoiling your view. 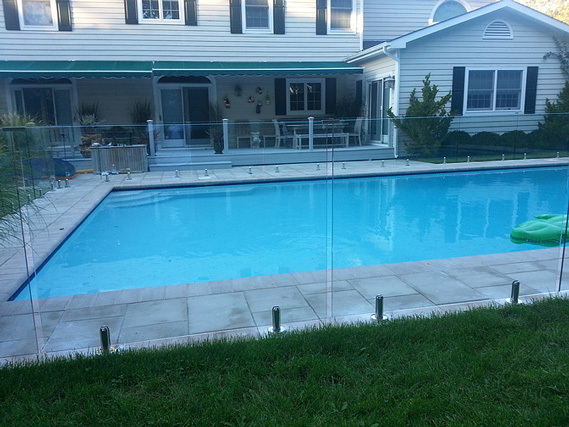 Frameless glass fencing is a popular choice for a pool safety fence. 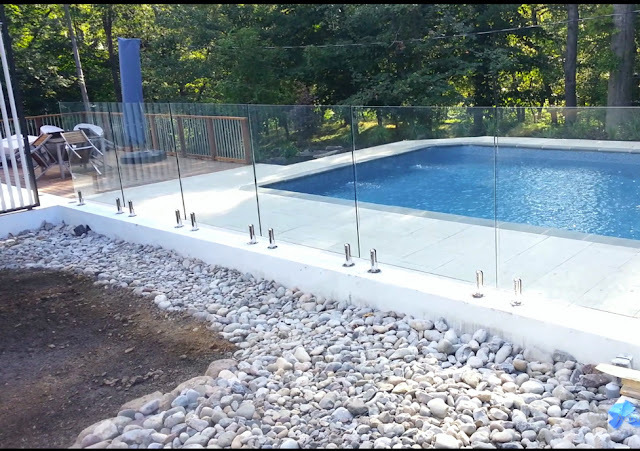 The glass panels provide protection while still allowing for an attractive view of your swimming pool. We will install frameless glass fences and guardrail systems anywhere in the United States, either directly or through one of our authorized installers. Your frameless glass fence and railings can be installed in as little as three weeks. The process will start with an on-site inspection of the installation area and measuring. We will then design the glass fence layout and provide a detailed estimate. Once approved, the frameless glass fencing panels will be manufactured and delivered directly to the job site. Installation is then completed within a few days. Frameless glass fencing and railings conform to all local building codes. They are immensely strong and easy to maintain.